Bringing Hatsune Miku and pinball together would be a dream come true for me, since I love both with a complete passion. Given that Zen Studios has worked with Bethesda to produce a set of pinball tables based on Skyrim, Fallout and Doom, it seems only logical to me for the developer to partner up with SEGA next for a Miku, Persona and Sonic set of tables. 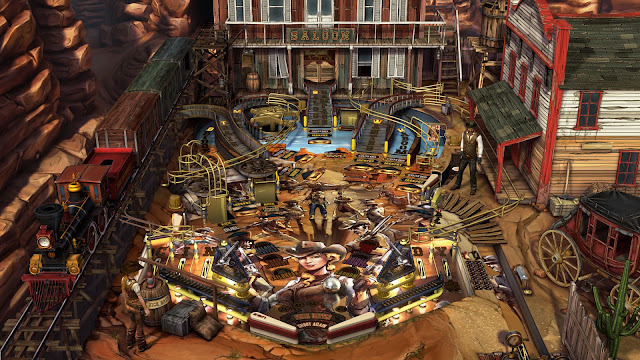 Related reading: Matt's writeup/review of Pinball FX3. Matt S: Congratulations on the releases of Pinball FX 3 and consolidating your position as the best pinball developer going around! The first question I have to ask is, after the Bethesda set of tables turned out so well, when can we get a SEGA set of tables - Sonic, Hatsune Miku, Persona? It has to happen, right? Viktor G: Thank you! 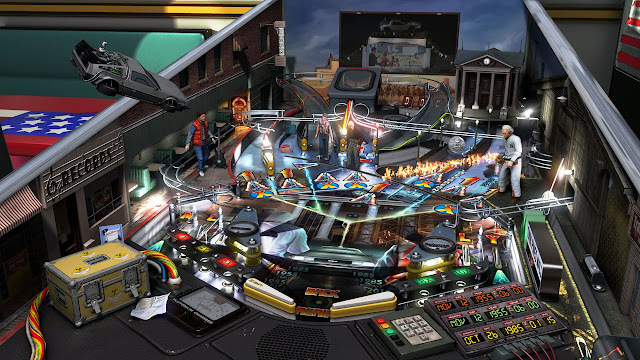 It was a long road for Pinball FX3 to hit the digital stores, but the title has finally released and with the set of exciting new features we really wanted it to host. For new tables, we are always on the lookout to find interesting new themes that are expected to resonate well with our players, and nothing is excluded - be it a film, a comic, an animation series or a great game. All I can say at this point, however, is that we have some pretty awesome new franchises on the table. Matt S: Your team has developed so many different tables now. Is it hard to keep creative motivation to keep coming up with new designs? And where do those designs come from - how do you develop out your creative ideas? Viktor G: This is a question we face from time to time. Since all the tables are built from the ground up based on the actual theme, they will inevitably be different in their nature and gameplay style. Yes, there is a limited number of building elements we can use when designing the ‘physical’ layout of a playfield, but it does matter a lot where these elements are positioned on a table. Our designers always have something in their mind they want to try on their actual table – a new kind of supercharged loop or mini-playfields that always offer something unique – and while developing them, they are already reserving the ideas that can’t make it now for their next table. The themes themselves we work with offer quite a lot of ideas, actually. Their story, places, characters and objects provide the main source of our inspiration. Ideas sourced from a theme kind of force their presence into a table. For example, the Xenomorph Queen on the Aliens™ table cried for a whole back-wall due to her sheer size and significance in the film, and of course she did need to interact with the steel ball by some means. So such franchise-specific elements do drive both the game mode and layout design. Matt S: Many of your tables have been adaptations of existing franchises. How do you abstract a franchise down to a pinball table, while keeping the creative essence of the source material? Viktor G: We always try to focus on the most captivating and most defining memories of a franchise, and thoroughly investigate their stories, actions, characters, etc. -- anything that we could use as a great source of pinball material. We try and match the purpose of our subjects with the purpose of the different pinball elements. Important characters or items make it into the game as animated 3D objects, other important faces or textual references show up on the playfield art, as well as in 2D animations on the dot-matrix display. Game modes that grab a scene or situation get complete with on-brand SFX, music, and voice-overs. Of course, elements those are really unique to a certain franchise also require their use, like having portals on Portal® Pinball. 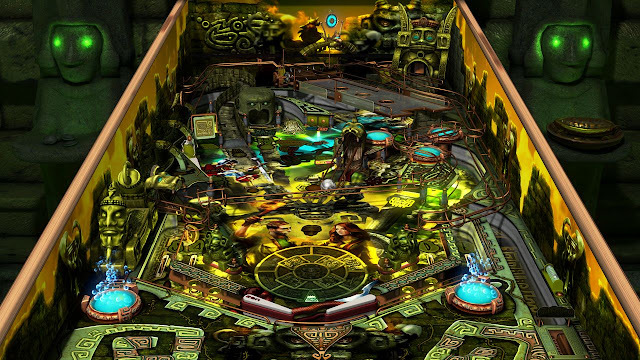 Viktor G: I think that the very basic set of interactions a pinball machine requires is one of its magical components. Very simple to play, but hard to master. Although the ultimate goal has remained unchanged in the past 70 or so years – keep the ball(s) on the playfield with the flippers – the complexity of that playfield and the game mode variety that modern gaming are able to present do make pinball compelling even in this era. Matt S: There's so much being said about eSports at the moment, and pinball IS a fundamentally competitive activity. As the leading pinball people out there, are you actively trying to develop a competitive - if not professional - pinball scene? How is that going, if so? Viktor G: One of our main goals with Pinball FX3 was to take definitive steps towards incorporating the competitive nature of pinball. Complete with cross-network layers, this game has become a big social activity, and our players can always find an appropriate challenge of their kind. That said, we are still observing how these services are used and are evaluating the results to find out how best to develop this area even further. Matt S: I'm really curious - what are the top five pinball tables in your library, and if you had to guess, what makes them popular? Viktor G: This is a hard one to precisely answer, as most of our tables come in packs, but I may not be far from the truth if I list the following tables in the top five: Star Wars Pinball: Episode V, Marvel’s The Avengers, The Walking Dead, Portal, and Family Guy. These tables are based on great franchises and really managed to capture the essence of those brands, while also providing a great pinball experience. 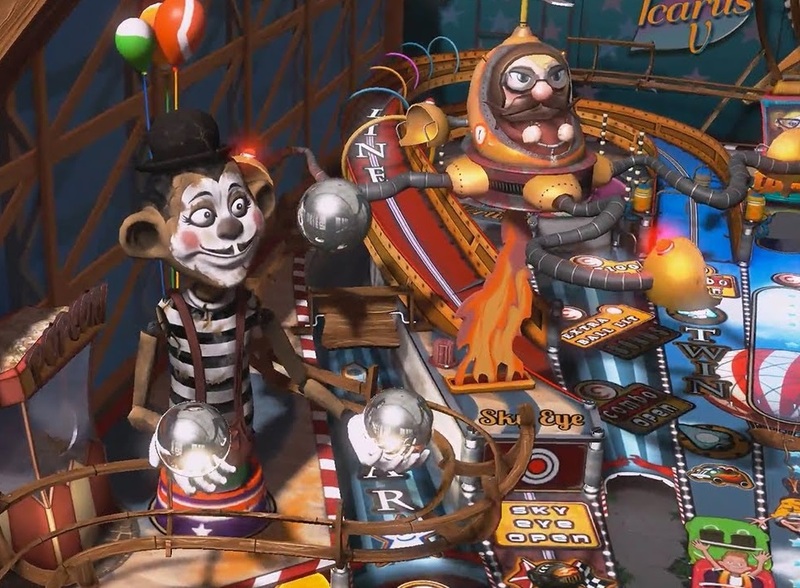 Matt S: Your pinball tables tend to stretch the boundaries between what would be possible in a physical pinball table, and what could only work in a video game. Is there a particular balance that you aim for there, and is there any particular reason that you do constrain yourselves to relatively realistic pinball table designs? Viktor G: Yes, we try to keep a balance in having elements that you would actually believe could work on a real pinball machine and features that could only work in video games. Our initial tables were very much more on the realistic side of the design with just a few trials on having non-realistic elements as well, but user responses convinced us to push the video game part’s boundaries further. In the same time, we are receiving positive feedback on the classic elements as well, so we try to satisfy both demands and keep the balance. Matt S: Is there any particular strategy in your partnerships with third parties like Disney, Marvel and Bethesda, or are these tables more a case of being in the right place at the right time? Viktor G: Our focus these days is to give our players what they are asking for. Sometimes this is brand available to us through partnerships already established, and sometimes that means starting with a brand-new partner. It’s great to have such an engaged player base who constantly let us know what they want! Matt S: There is a returning interest in physical pinball tables too... have you ever considered producing a physical pinball table based on one of your digital tables, and which one would it be (also let me know if you are so I can buy one for myself)? Matt S: Finally, seriously what can I do to help get at least a Hatsune Miku table made? It would be the perfect game. Viktor G: What you can do is get other friends and players to ask for a Hatsune Miku table. If we heard this from enough players, we would consider it!